Tron Bikes Mod is a very large and extensive mod made by the famous developer ‘Flan’, obviously. What this particular mod allows is that fans of the mod can add to it in their own way and create separate content packs, thus growing Flan’s mod further. And that is exactly what this content pack is, an add-on of Tron Bikes and Tron Boards into Flan’s Mod. 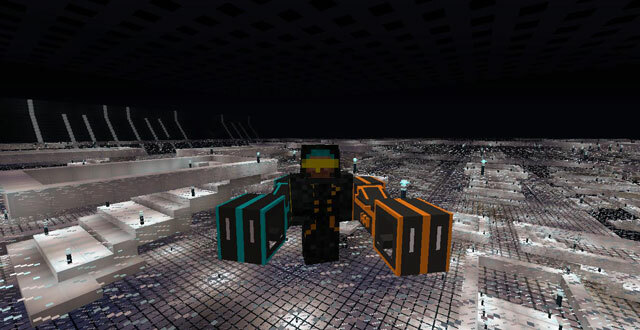 To be able to ride the famous Tron Bikes in your Minecraft game, you must first download and install the mod. Next, unforununately you cannot craft the bikes from scratch, so you have to access them through creative mode. In this content pack, you are now able to ride blue and orange bikes from the film franchise ‘TRON’. You are also enabled to surf around your maps on blue and orange ‘Tron boards’ too. You also are given the option to add things such as weapons and fuel into your ‘Tron Boards’. Click here to download the latest version of Minecraft Forge. Next, download the entire ‘Flan’s Mod’, this mod is very large and adds an extensive range of items. After this, you can finally download the Tron Bikes Content Pack add-on. Then just drag and drop the .zip files into the ‘resourcepacks’ folder of your Minecraft directory.